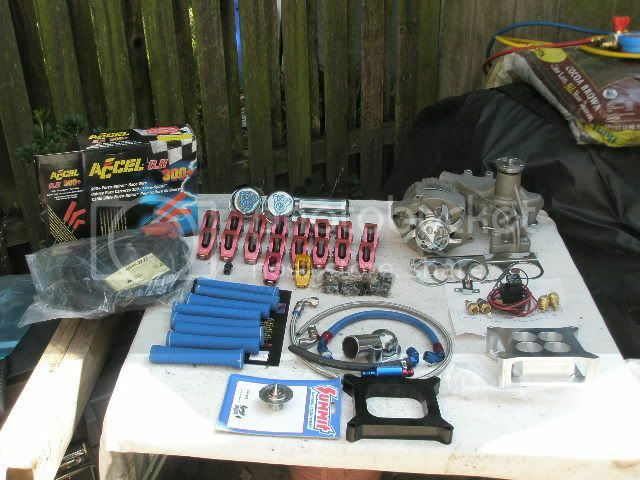 SMOKEmUP.com :: View topic - Chevy small blocks for sale. 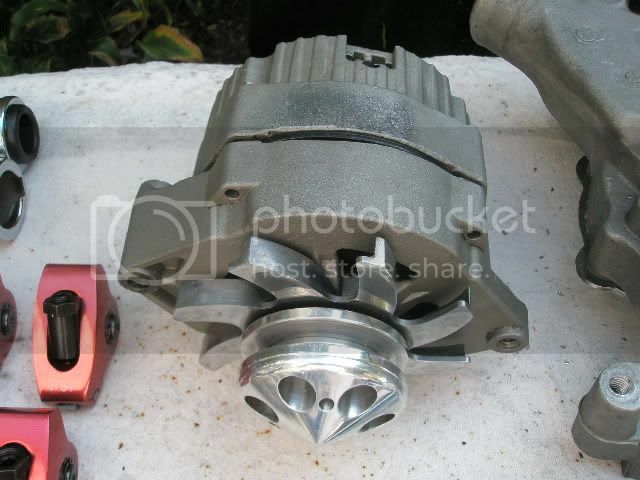 Posted: Tue Oct 05, 2010 7:37 pm Post subject: Chevy small blocks for sale. For pics let me no. 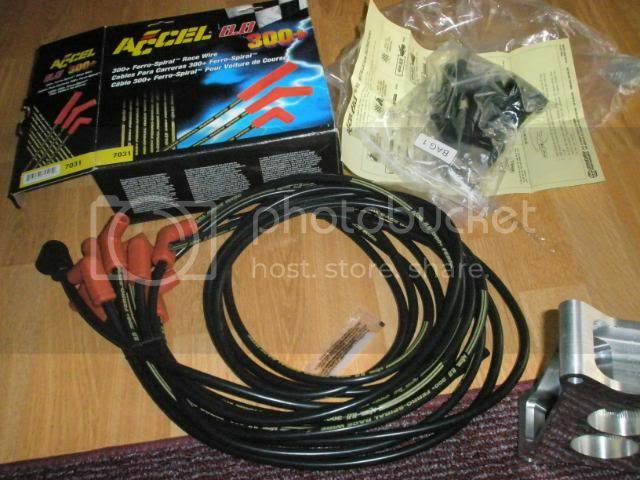 1 - 3 feet high pressure braided power steering line with steel ends these are new never used them. 1- chrome water hose neck. 1- Chevy roller rocker arms set these are 1.6 x 7"1/6 studs with poly lock nuts. 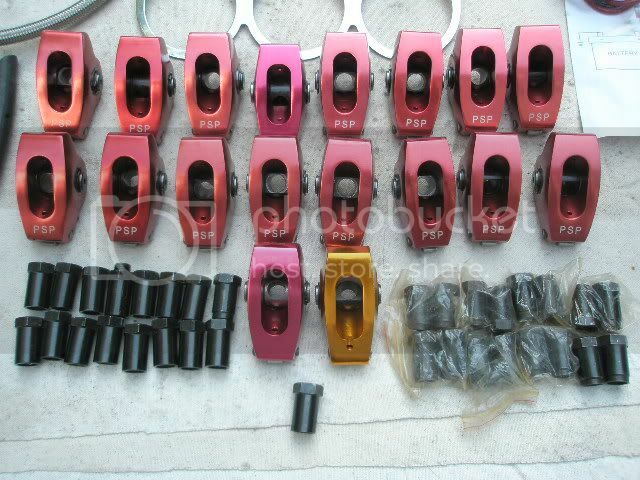 1 extra gold color new 1.6 x 7"/16 roller rocker arm and 1 extra red rocker arm 1.6 x 7"/16 stud size. 1- Used fan temp control 50 amp relay with 4 sending units. 2 - 185 x 175 off and 2 new I never used them works find. 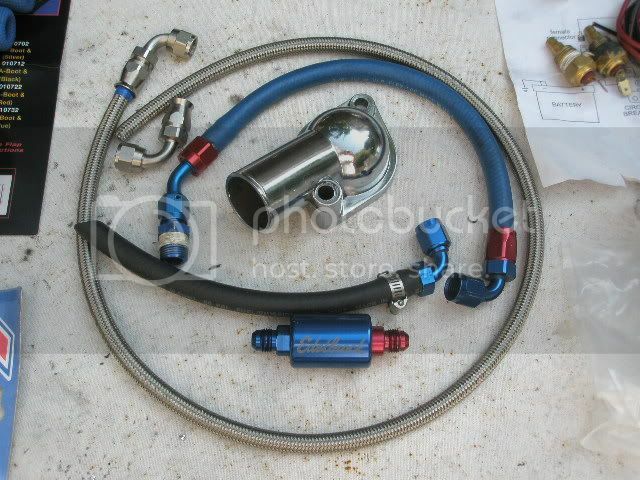 1- chevy small block long style aluminum water pump high flow only use for about 4 months. 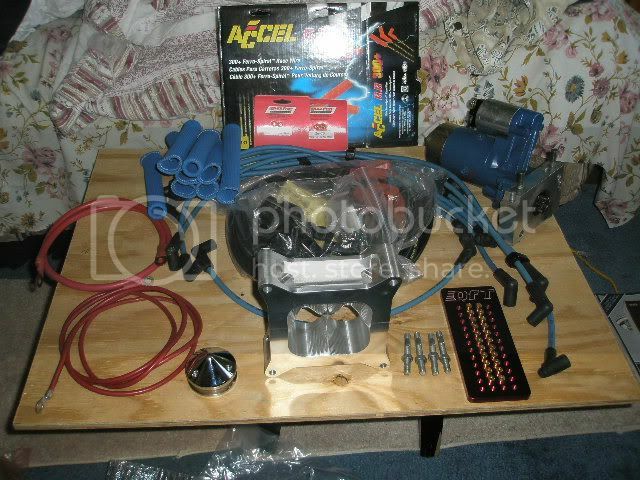 1- Chevy 140 amp alternator 3 wire type but can be hook up 1 wire - the alternator comes with the aluminum pulley under drive. 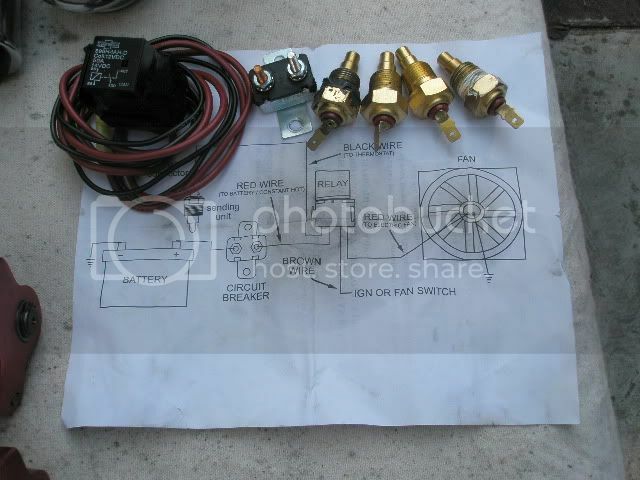 1- New Set of Accel 8.8 mm 300+ wire spark plug wire set long wires you cut to fit can be ran around the sides of valve covers or on top. 1- New 2" carb spacer tapered 4 hole sweet looking on any big or small block. 1- New set of spark plug blue wire protection these are new. 1 - high torque mini starter for big and small block used this work find turns the motor over very fast. 1 - Chrome under drive alternator pulley made buy Tuff Stuff new nice. 1 - Used set of carb intake bolts for a 1" spacer. The mouse that caught a rat.